Happy New Year! I’m back in Japan now after my Christmas holiday in Ireland. Today is Coming of Age Day in Japan which is a National Holiday and celebrates people who are twenty years old officially becoming adults. I saw some girls in town today decked out in formal kimono, but I didn’t take any pictures. 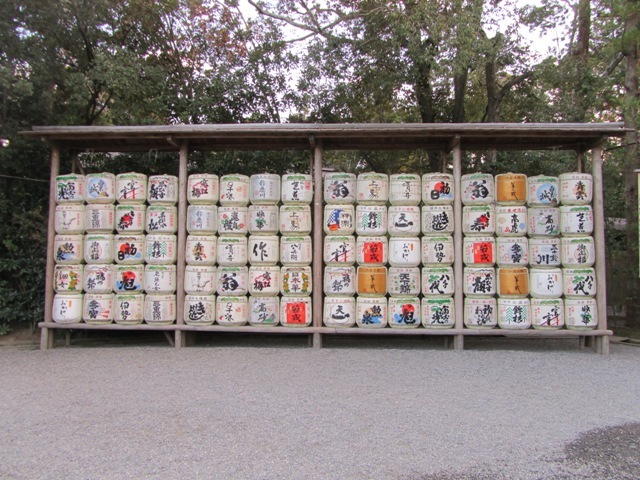 This post is from a trip I took back in November to Ise in Mie Prefecture, south-east of Kyoto. 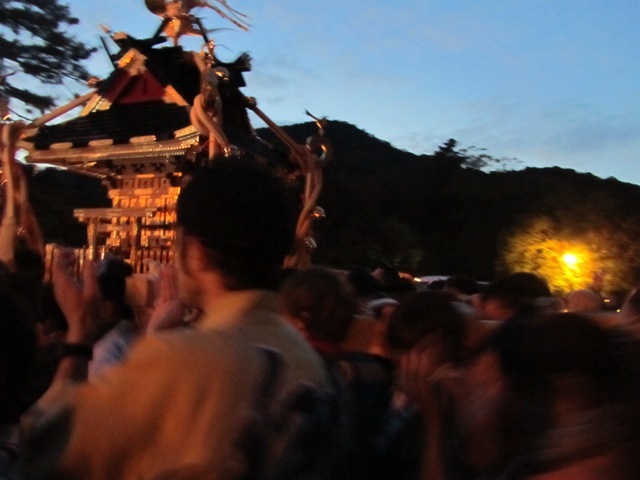 The Ise Shrine is one of the most important shrines in Japan, as it’s dedicated to Amaterasu, the goddess of the sun and the universe, from whom the Emperor is descended. Amaterasu is purported to have bestowed three sacred treasures known as the Imperial Regalia to one of her early descendants – a sword, a jewel and a mirror. The mirror is kept at Ise, and the three treasures have been presented to each Emperor at his ascension since 690 A.D.. Only the Emperors and a few high priests have ever seen them, and no pictures of them exist. 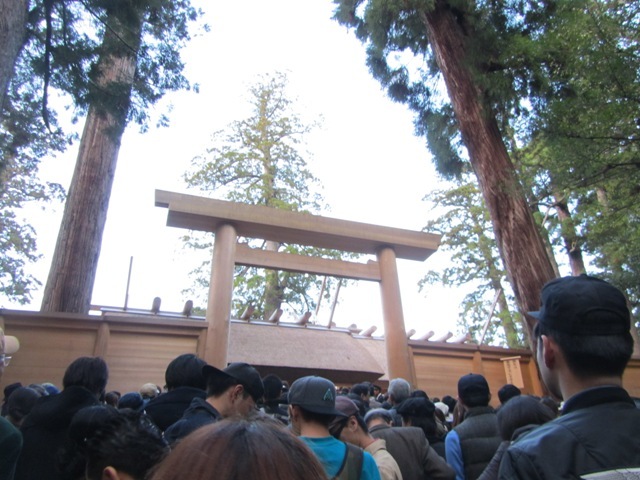 The reason I’m interested in this shrine is because since 690 A.D., every twenty years the entire shrine complex is rebuilt. In university, for my final year dissertation, I researched the restoration of medieval buildings in Bologna, Italy, at the beginning of the twentieth century. 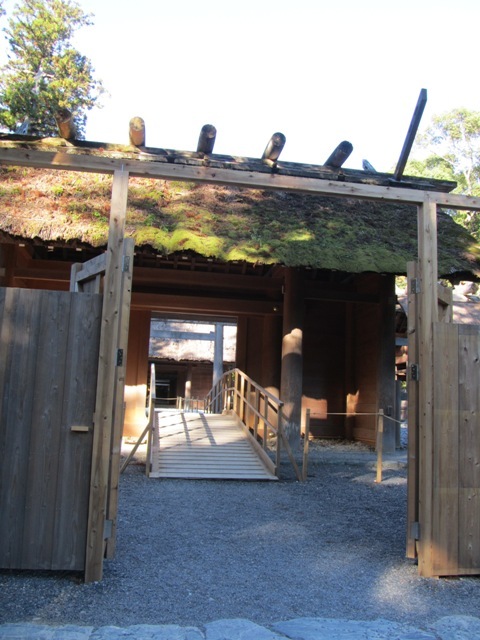 While I was researching theories of conservation, I came across this shrine because it’s a famous example of Japanese conservation, i.e. the conservation of concept, not materials. Although the buildings are made of completely new materials each time it is rebuilt, it is rebuilt in exactly the same style and with the same construction methods as it was back in the seventh century. 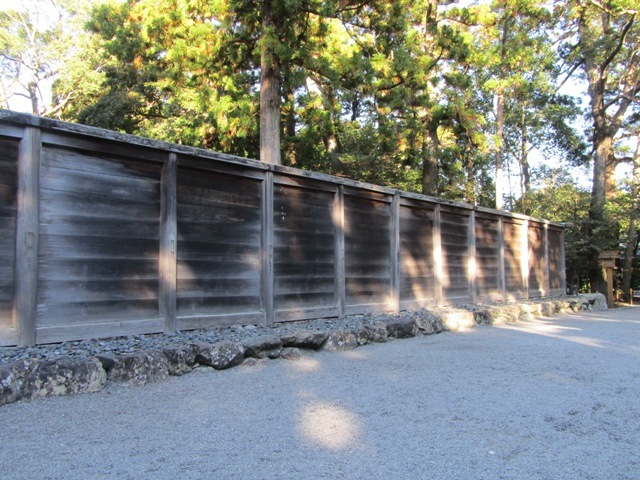 All shrines in Japan used to be rebuilt in order to purify them, but the cost is so high that now only the Ise Shrine does it. It takes many years to prepare the building materials and there are many rituals and festivals for it as well. 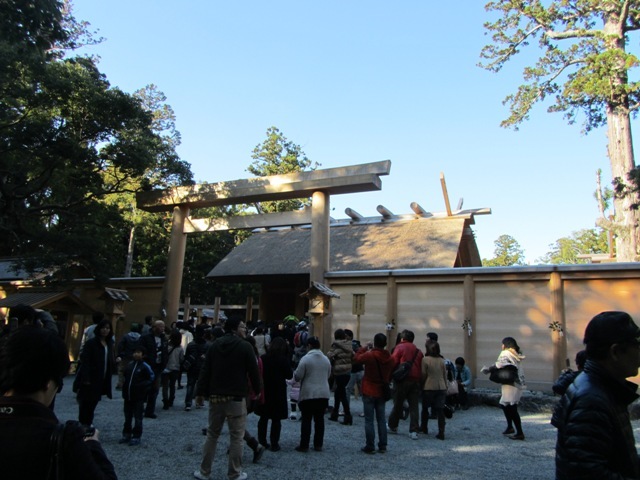 The new shrine is built in a lot beside the old shrine, and in October, the divinity was officially moved to the new structure. 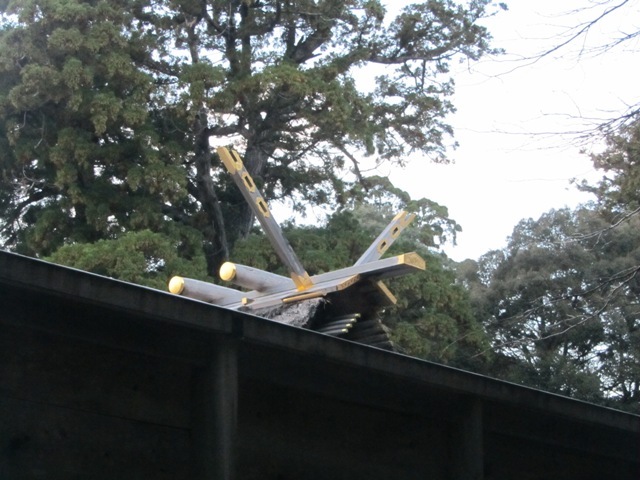 From then until the New Year, both old and new shrines were standing, until the dismantling of the old shrine this year. 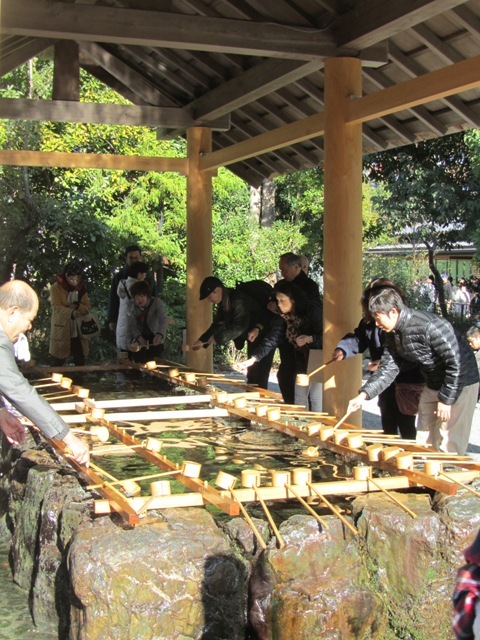 The parts of the old shrine are then sent to other shrines in need of repair. 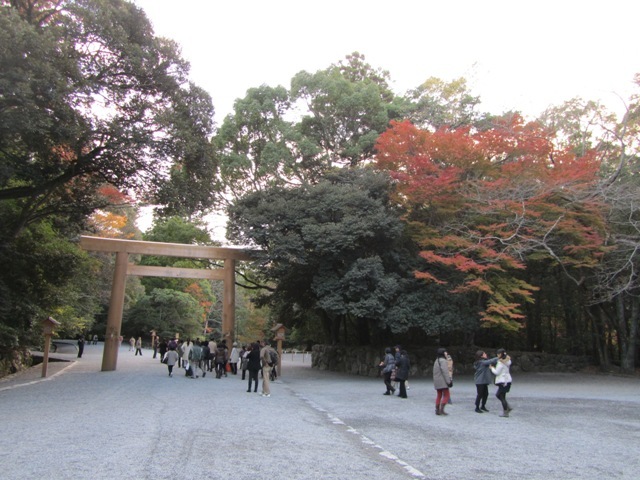 I visited in November so I could see both shrines and do some autumn leaf viewing. 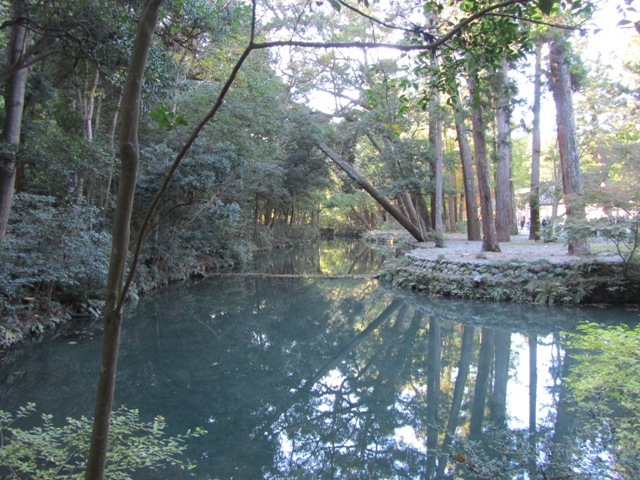 There are two main shrines within the complex, the Outer Shrine, Geku, and the Inner Shrine, Naiku. 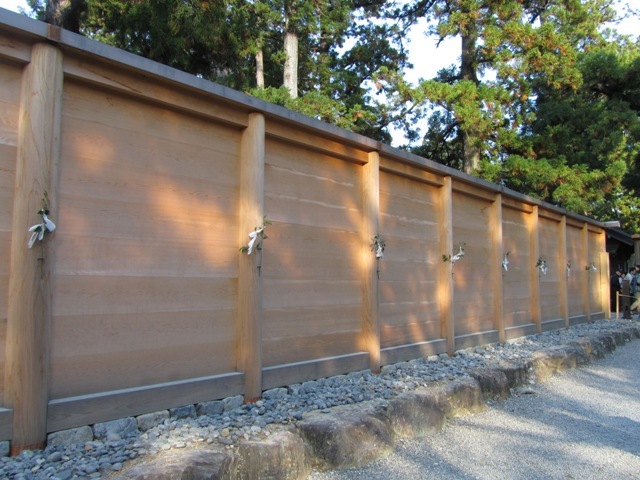 The Geku is located very close to the train station and houses a goddess of agriculture who brings food to Amaterasu who resides in the Naiku. 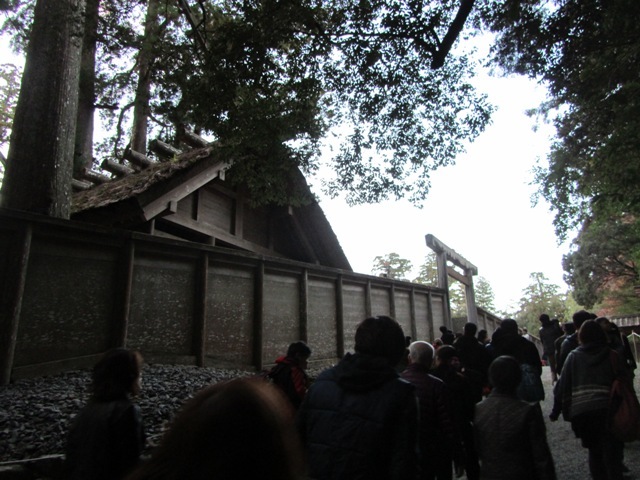 These next pictures show the old shrine. The next two pictures are of the new version. 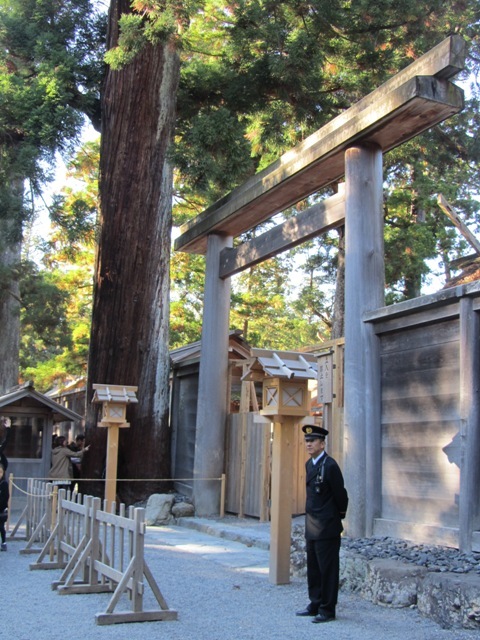 Because this is such a sacred place, we are not allowed to photograph inside the shrine fences, but we were allowed to go through the gates and look at the inner building. Some very well dressed people were guided to the front of the inner building where they bowed and prayed. 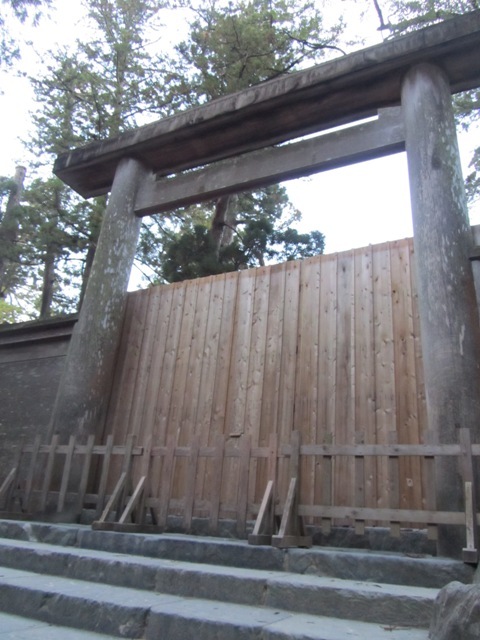 Access to these shrines are very restricted because of their holy and imperial status. Some of the buildings are surrounded by fences so you can only see the roofs. The building below is the shrine shop and its interesting to see that it’s built in a later, Buddhist-influenced style. I would highly recommend visiting the Sengukan museum, just outside the Geku because, although there isn’t much English signage (but pamphlets and audio guides are available), there are videos, pictures and models to help you understand the importance of this shrine. 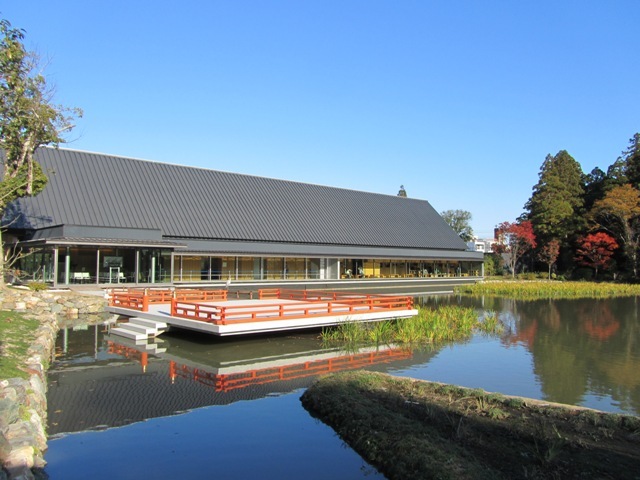 There were videos of the rituals that take place at the shrine, examples of the craftsmanship that goes into building and decoration, and there is a scale model of the Geku main building and an exhibition eplaining the ancient techniques used to build it. 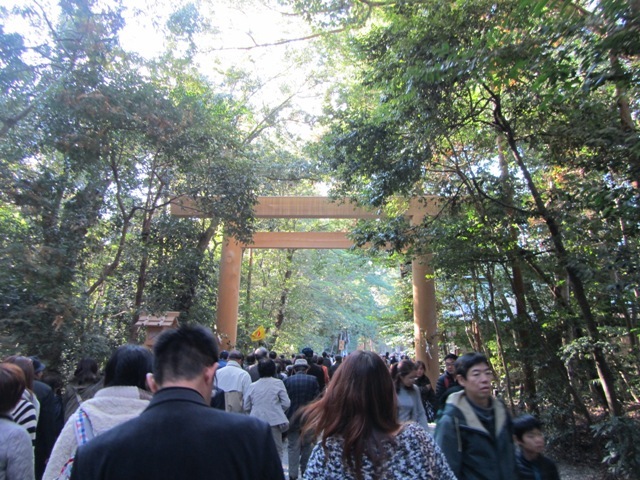 The Naiku (Inner Shrine) can be reached by bus from the Geku or the train station. 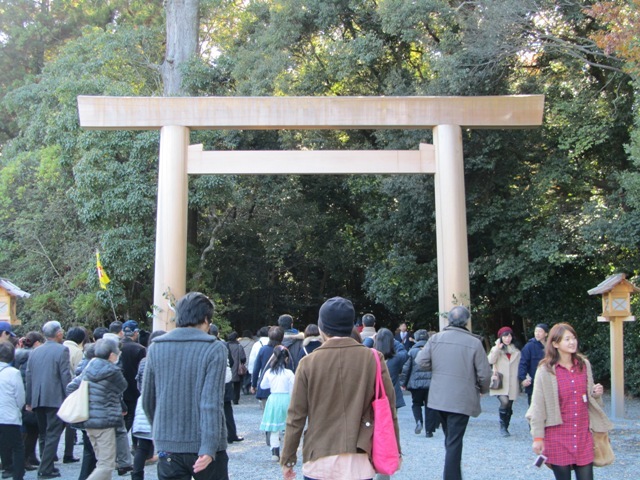 Everywhere was really busy because I’m sure everyone wanted to see the new shrine, but it was great to see that so many different types of people went to visit it. There were elderly devout people, families on an outing and young friends on a trip together. I would imagine in other years, or times of year, it wouldn’t be so busy, which would be nice, but I was glad to be able to see both buildings. My photos can’t really give the sense of having two identical buildings side by side, one brand new like it was unpacked from Ikea yesterday, the other twenty years old and weathered like a garden shed. These buildings mightn’t seem as exciting as other shrines or temples you can find in Japan, but they are very important historically and architecturally. They represent a very Japanese form of architecture, remaining separate from the foreign-influenced Buddhist temple architecture. 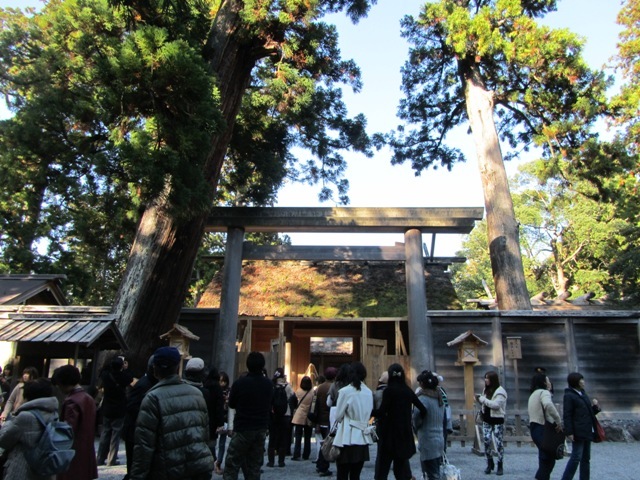 The main shrine of the Naiku is built in the Shimmei style, which has its entrance on the long south side, as opposed to the gable end (like the Taisha and Sumiyoshi styles). 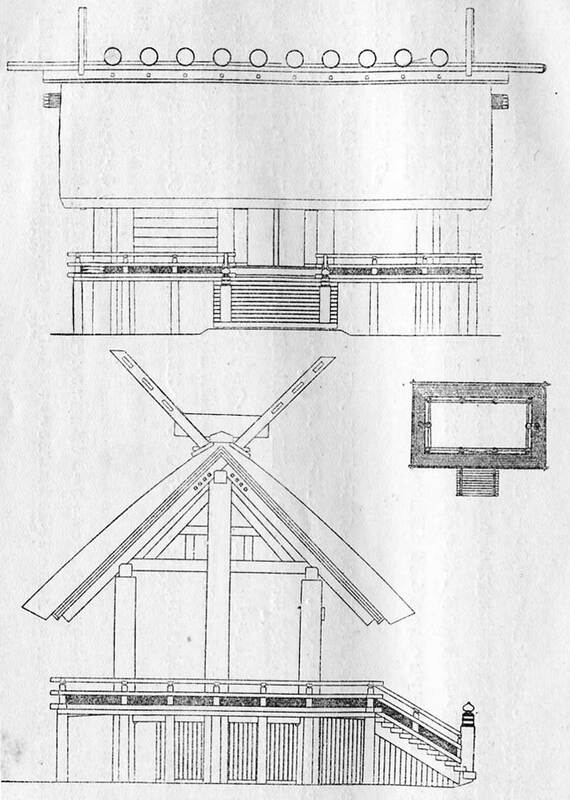 The floor is elevated on posts, the walls are built of planks, and the gabled roof is thatched with grass, topped by ten cylindrical logs, perpendicular to the roof ridge, and with forked finials over the gables. You can see in the above picture that these last are ornamented with gold. 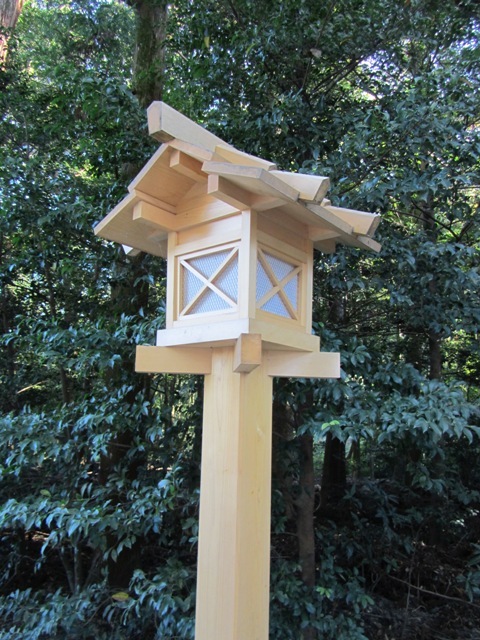 The buildings at Ise are unpainted, though most other shrines around Japan are finished in vermilion. 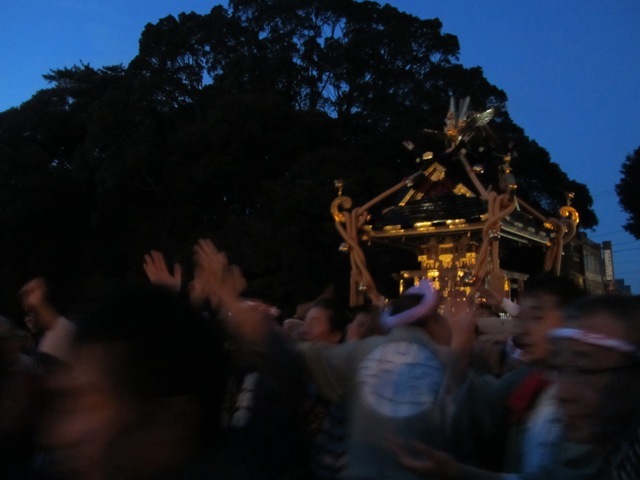 As I was leaving the Naiku, a procession carrying a mikoshi (portable shrine) went past.